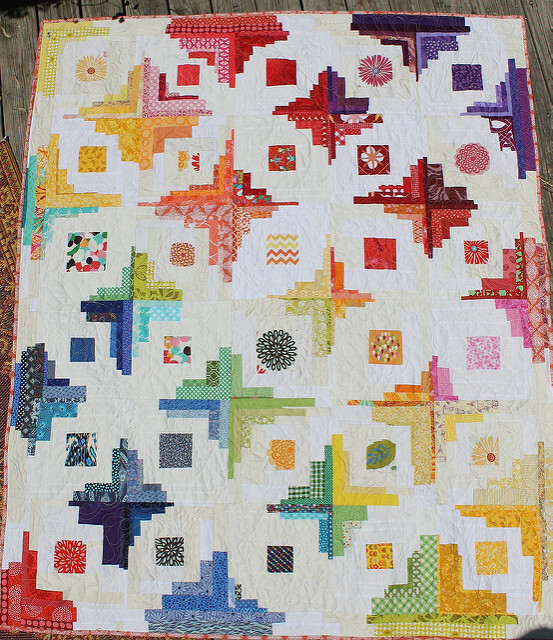 I am calling this beast the Mad Farmers Medallion after the Wendell Berry poem series (here is another) It needs another border (can’t decide what) and I can’t decide how to quilt it, so it’s going to sit in the corner till it figures itself out. It is Wednesday, so I am linking with other Works in Progress today. 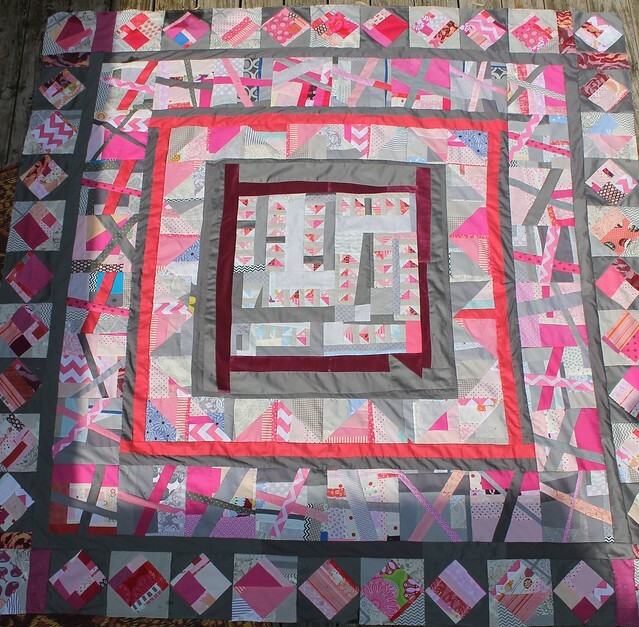 It was an attempt to use up my gray and pink scraps. 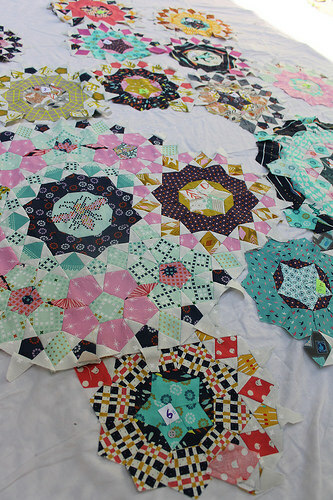 I have a SERIOUS amount of scrap fabric, partly due to always being the first to pipe up when someone is tossing them out, and partly due to my modest little quilt business and the wedding signature quilts I make. 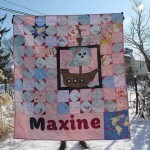 I got 3-4 pink quilt orders since last fall and was getting an unholy amount of pink scrap build up. 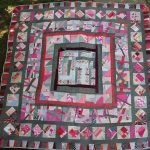 The center is leftover triangle corners from this Princess Pirate quilt. It’s bordered in velvet that is leftover scraps from a dress my mom made in about 5th grade — at least 20 years ago. Winning at scraps? I used to claim I wasn’t a fan of pink, but let’s be real, I love it! I think I was too punk rock to admit it at the time. 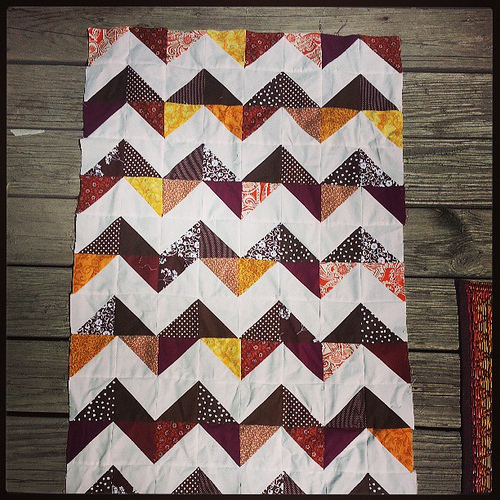 But I think this quilt is pretty punk rock? 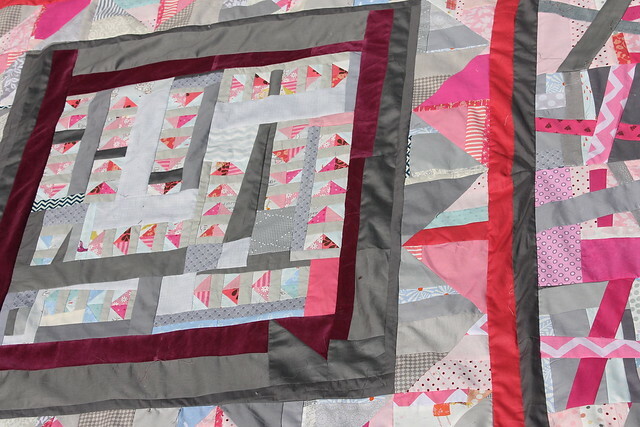 I am taking a break from custom quilt orders, in part because it stopped being fun, and in part to use up some of my glorious (terrifying) scrap collection. 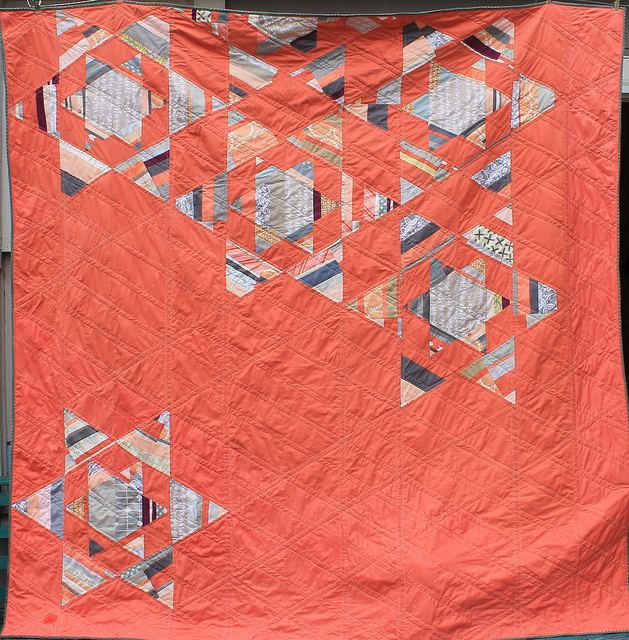 This quilt was definitely inspired by “15 Minutes of Play” by Victoria Findlay Wolfe — though I must admit I spent more than 15 minutes working on this quilt so far! 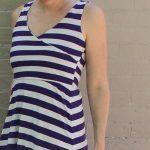 I highly recommend the book version and the blog – she shares a few basic techniques, but is mostly focuses on inspiration and ideas to get you sewing. Yo Dana…way to think pink…looks amazing! OMG! 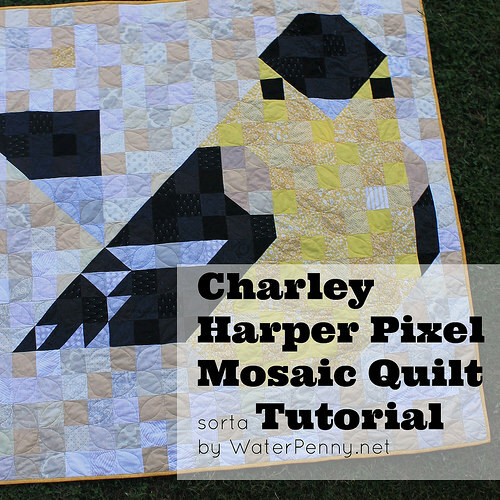 I think I need to make one of these quilts!